A monthly online magazine I managed, produced, and edited. We showcased original editorial content in a new format to drive customer engagement and create brand enthusiasts. 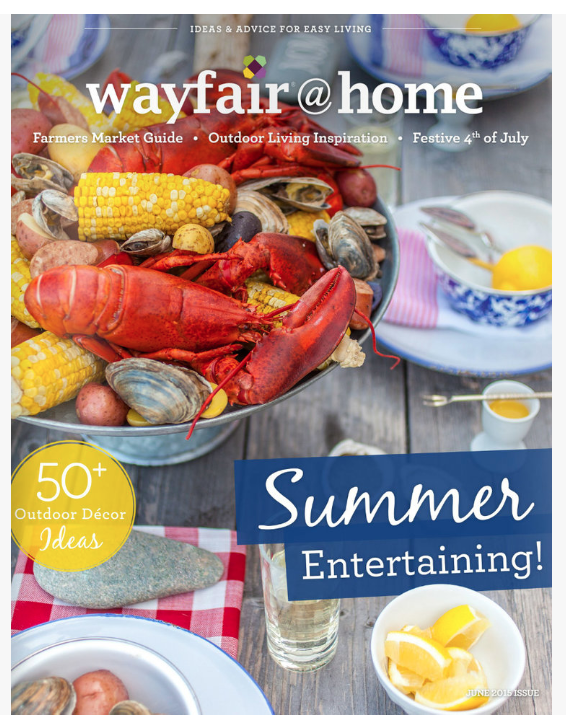 Coordinated promotion on the Wayfair homepage, Ideas & Advice landing page, targeted email sends, and influencer collaborations. Drove revenue through ad placements. Increased customer engagement and drove repeat purchases. Each issue received an average of 1 million impressions. 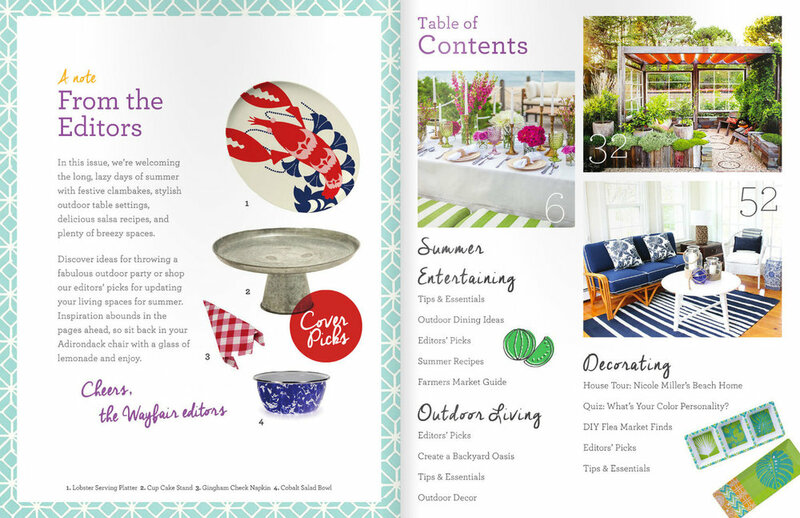 Create your own stylish tabletop display with colorful accents and fresh florals. 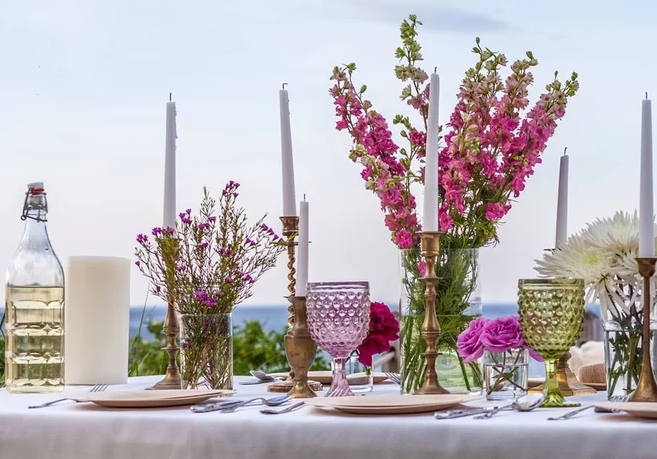 The centerpiece of this table steals the show with an eclectic mix of brass candlesticks placed between simple flower arrangements. Finish the look with white table linens to balance out the bright accents.